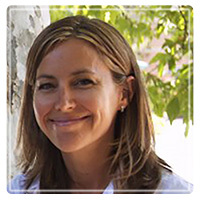 Westlake Village Therapist: Jessica Hupf - Therapist 91361. Jessica Hupf is a licensed Marriage and Family Therapist who is dedicated to providing professional counseling services combined with compassion and support to help kids, teens and families who are struggling with life challenges. My warm disposition makes it easy for kids and teens to feel more comfortable about seeing a therapist. In fact, after the typical initial hesitation of the first appointment, may of my clients report that they actually look forward to their weekly sessions and enjoy coming to therapy because it allows them a space to talk about and work through what's on their mind. In addition, I have witnessed many of my young clients and families make significant changes in order to improve their overall functioning and wellbeing and improve their quality of life. This is a very rewarding part of my job and I am honored and proud of the work I do. I have a private practice conveniently located in Westlake Village, and am grateful to have the privilege of serving the community by offering a service that can make a positive impact in the lives of others.